For now, the community has hired off-duty police officers to patrol the premises from 11 p.m. to 4 a.m. Similar to the other lawsuits that were filed by a New Jersey homeowner and a Michigan couple, this lawsuit seeks to be certified as a class action on behalf of all U.S. real estate owners whose property lies on or near the GPS coordinates of a PokéStop or Pokémon Gym. 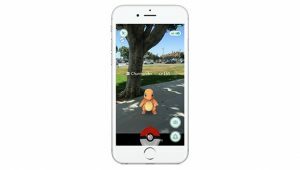 The attorneys for the association have also noted that these in-game sites, where the players capture and feed Pokémon or fight virtual “battles” with other players, have been located in cemeteries and at the U.S. Holocaust Memorial Museum in Washington, D.C.
As I noted in my prior article, there are a number of measures that community association boards of directors are now considering and implementing to address the growing nuisance, safety and security issues being caused by the game’s players. Many are starting by issuing a bulletin to all of the owners, residents and staff reminding them that excessive noise in any of the common areas – including from Pokémon Go players – creates nuisances that are in violation of association rules, and building management/security should be contacted if any such nuisances arise so that immediate action may be taken. Management, security and valet staff are also being tasked to maintain a high level of vigilance for nonresident players attempting to infiltrate communities as well as for residents and their guests creating disturbances while they are playing. Other considerations include restricting access to lobbies and common areas at night, and even adopting rules governing the times of day that the game (and others like it which are sure to come) can be played in the common areas. Click here to read the 19-page complaint, which includes screenshots of the Pokémon characters that are spawning at the property.